Umbria's grand hill town - one of the most charming cities in central Italy. 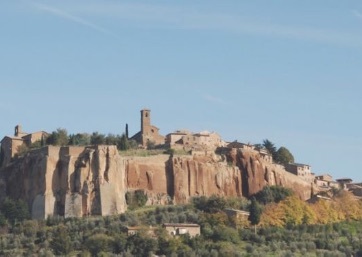 The city of Orvieto exists in symbiosis with the tuff cliff on which it stands, an extraordinary example of the integration of nature by the work of man. 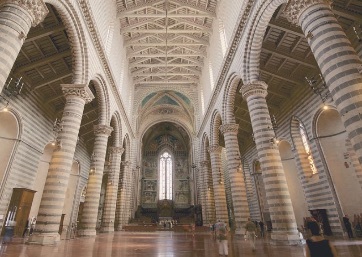 Getting Married in Orvieto will ensure an experience that will take you back in history. It is in fact a small city of great antiquity, so ancient that its early history is uncertain. Its location is remarkable as well: it occupies a slowly crumbling butte of volcanic tufa, riddled with hundreds of caves, wells and tunnels of every period from Etruscan to medieval to 17th century and later; slowly crumbling away as are many such hills in the area (the most famous of which is nearby CÃ­vita di Bagnoregio) and constantly maintained and shored up by massive engineering works. The region boasts wonderful food and picturesque settings combining history and nature. 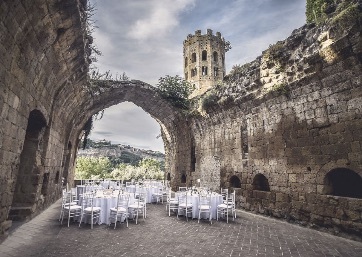 Visiting this town means journeying through history, for traces of each and every period of the almost three thousand years of its existence crop up everywhere in this preconstituted physical entity: Orvieto is truly a marvelous location for your Italian Wedding. 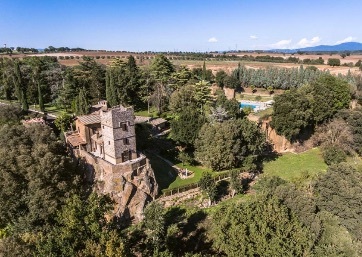 This Hotel has been built inside the antique medieval Abbey which was erected in the 6° century.